It’s that time again! We’re getting ready for the world television premiere of LANDMARKS, the first concert of our 50th anniversary season, commemorating some of the landmark moments in the Marionettes’ history. 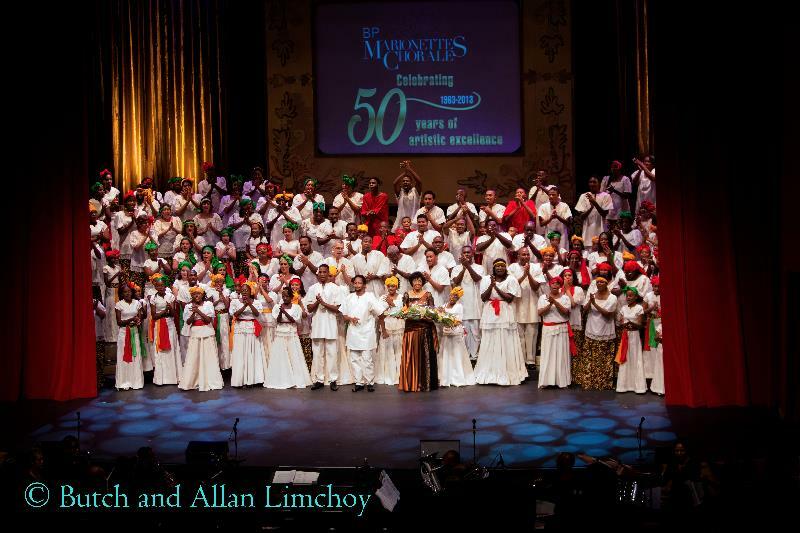 The concert premieres this Saturday 31st August – Independence Day in Trinidad & Tobago – on CNC3 Television. Sunday 1st September @ 1:00pm (GMT-4) on CNC3, both on air and online via their free livestream. Details about additional broadcasts on GISL TV4 and Trinity Communications Network (TCN) will be announced as we have them, as well as the launch of our concert offerings on Flow-On-Demand. 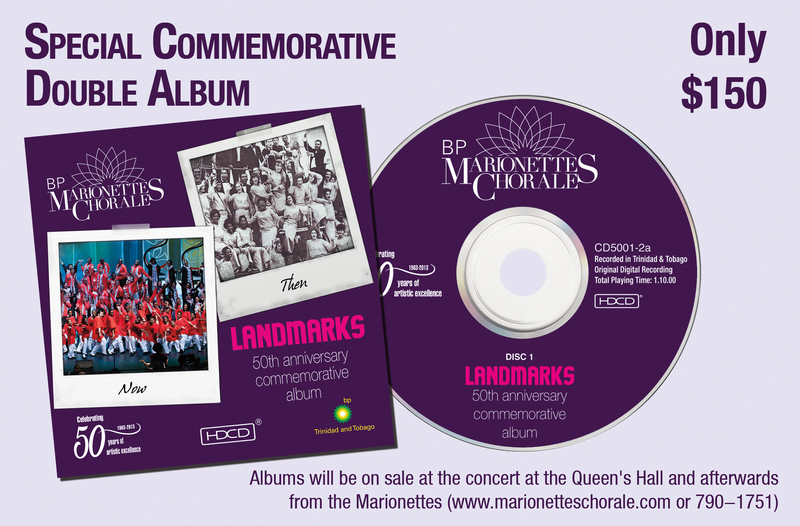 Don’t forget to get your copy of “LANDMARKS: the 50th Anniversary Commemorative Album“! Get TWO CDs with 34 of your favourite Marionettes performances – one CD of Christmas favourites, and one with music for all year round – for just $150! You can order from members; on our website; and on iTunes, Amazon, and your favourite legal music downloading sites.